The Paperfox MP-1 paper punch is a really versatile device. There are a lot of tools available and custom tolls are can be made as well. With an optional MPA-1 table the device can be used more comfortable and accurate. 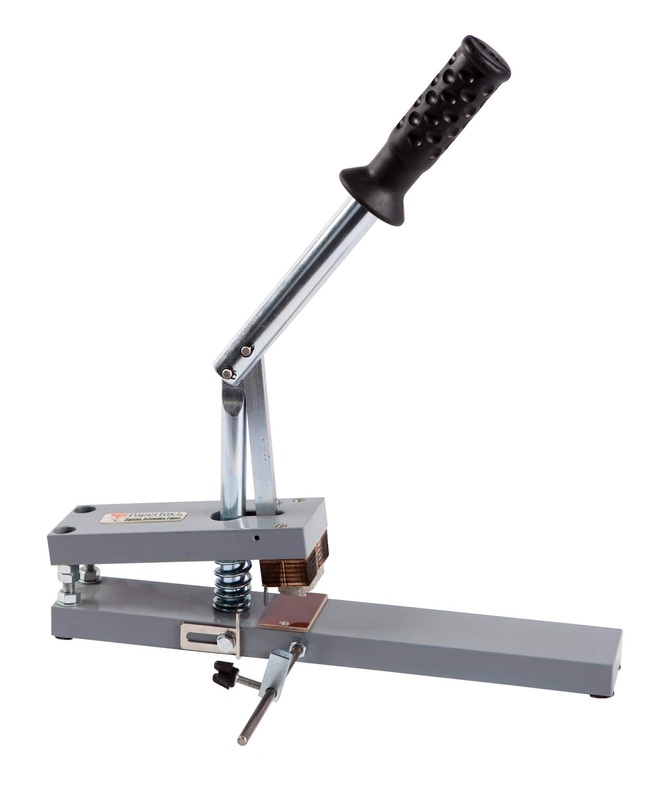 The most common usage of the MP-1 is Euro slot punching. You can use cardboard header on the polyethylene bags, create a self adhesive cardboard hanger with an euro slot or you can punch directly the plastic bag. Yes you can punch the thin polyethylene bags with the MP-1. Not every paper punch can punch polyethylene bags as you can see it on the following video. ...or you can die cut product samples and stick them on your brochure. 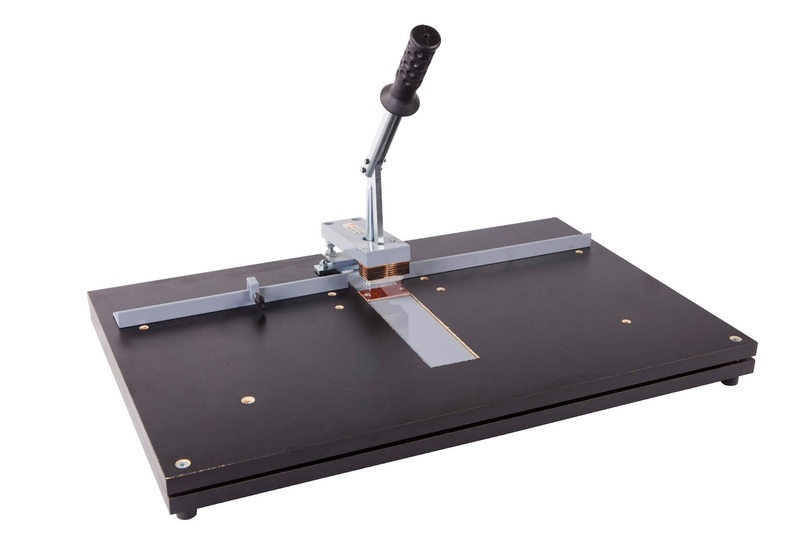 A great idea to cut belts, strips or other similar product with the MP-1. You can round the corner or give a special shape to the endings in one step with the cutting. With a special tool you can die cut SIM cards. If the standard MP-1 is not big enough for the task you want to accomplish then we can make a bigger cutting surface for this machine. With a special console you can punch boxes, or other similar products. Some customer of us uses this device for embossing. For heavy tasks we can make longer pushing arm and big table to reduce the force you need to apply. With the optional RP-1 corner guide and with RP-6...RP-20 corner rounding tools you can round corners. Not only paper can be punched with the MP-1. 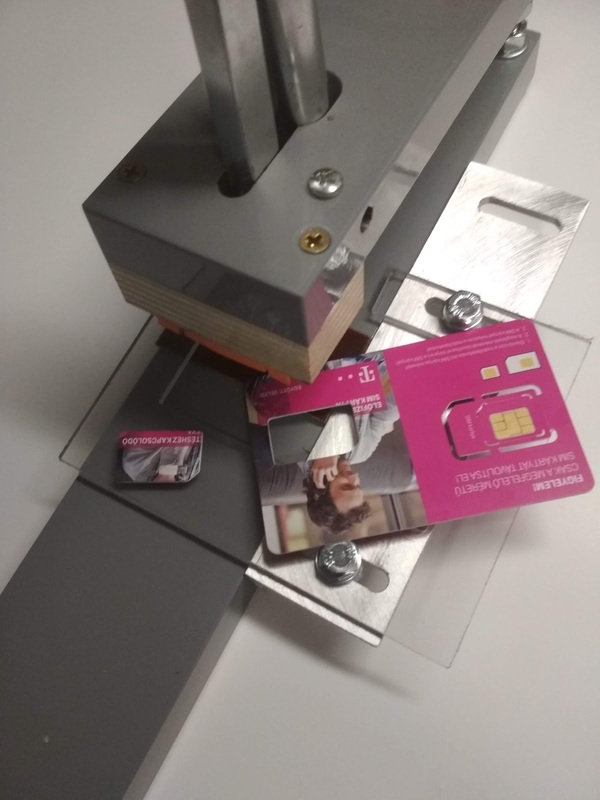 The device is strong enough to cut plastic parts as well.